1. What types of apps have they developed? We assume you will do the due diligence to find out whether prospective developers HAVE built apps, but you should also consider what types of apps they’ve created. Were they games? Consumer tools? Productivity boosters? 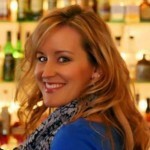 Business or Enterprise apps? Understanding the ins and outs of a high-performance video game does not necessarily translate into the ability to smoothly deliver, say, a sales force automation tool with secure data requirements. Developers should and can be versatile, but like any other field there are definite specializations. 2. What types of industries do they serve? We won’t completely pass up a developer who hasn’t worked in our field, but it is certainly a bonus when one is familiar with the particulars of your industry. For example, if your app needs to be HIPAA-compliant, or adhere to stringent financial regulations, it’s much easier to work with developers who have previously satisfied those requirements. 3. What platforms do they know? Delivering an app across multiple device types is certainly getting easier with the proliferation of cross-platform development, but it’s still important to ask a developer about their expertise. You might find you have a whiz at iOS programming, but a beginner at Android. 4. Do they perform the design work? Graphic design and UI/UX (user interface and user experience) are CRITICAL for mobile apps. Users will permanently abandon a downloaded app in seconds if it provides a poor user experience. Development firms may offer design and usability services in-house, or work with outside firms. Some developers require you to deliver finished designs before the programming can start. Either methodology can be successful, and you should choose what makes sense for your project, corporate branding standards, or personal sanity. 5. Do they understand how to work with your users and data? Many times apps involve grabbing data from an outside source, obtaining data from users, or both. You many need to use APIs, web services, and interact with the device itself to pull everything together seamlessly. If that’s the case, having a developer with expertise in data integration can save you a lot of headaches when trying to get information to and from sources. 6. Can they help you with deployment? Maybe you want your app on public markets like the App Store and Google Play. Submitting your apps for sale involves an application process with code uploads, app review, possible contractual obligations, and more. If you don’t know how to do this yourself, you’ll want to make sure your developer can assist you. If you’re creating an app for internal use by your employees, there are private distribution concerns to address. Do you need to control your devices with a Mobile Device Management tool? 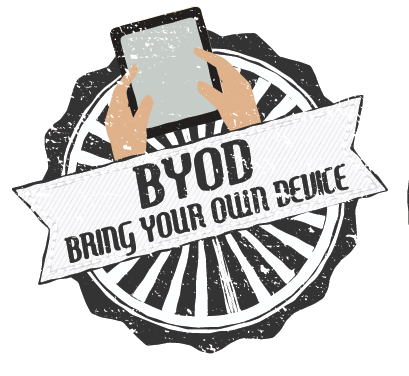 Do you have a BYOD policy, and what does it entail? 7. Are they asking the right things? Good developers ask tons of questions. They want to know your goals for the app (brand recognition, customer loyalty, revenue generation, mCommerce, process improvement, all of the above, etc. ), what devices you’re targeting, who will use the app, how you’re monetizing the app, what other apps do you like, if your tool needs an internet connection, where your current data exists, what security concerns you have, and so much more. They’re considering functionality, best practices, and optimal usability, while looking to avoid technical traps and App Store rejections. Now that you know what to look for when hiring mobile developers, here is a handy checklist to help facilitate conversations with your developer!